Herve Glotin Web page H.
Honorary member 2011-16 of the Institut Universitaire de France (IUF *) for outstanding research. CHERNOBYL Exclusion Zone Acoustic Bird Detection IEEE challenge joint to Warblr mobile crowdsourcing, (> 10,000 hours of audio). Prizes: 500 euros (MADICS CNRS). I'm invited Pr. at Ocean Networks Canada, Victoria university, whole summer 2015, to design advanced passive submarine acoustic algorithms to survey cetacean and boat trafic. 'Hierarchical Dirichlet Process Hidden Markov Model for Unsupervised Biocoustic Analysis' IJCNN 2015. Int'l workshop / school on Advanced Multimodal Information Retrieval [ERMITES 10th], 'Big Data Sciences for Bioacoustic Environmental Survey', Avril 2015 [general chair] with P. Flandrin, G. Pavan,... video are being online. Invited speaker @ "Cetacean echolocation & outer space neutrinos: ethology & physics interdisciplinary approach to underwater bioacoustics"
Editor of "Soundscape Semiotics - Localisation and Categorisation"
Habilitation thesis: "Information retrieval and robust perception Audio-Video-Lego", 2007. Jury : Gallinari P., Jauffret C. , Barhen J., Bengio S., Merialdo B., Scholl M., Le Maitre J.
PhD thesis: "Adaptive Multi-Stream Automatic Speech Recognition : Harmonicity to Noise Ratio and Localisation cues", dir. Bourlard H. and Berthommier F., Jury : Schwartz JL., Haton JP., Meloni H., Crowley J., De Mori R.
: "Elaboration et comparaison de systemes adaptatifs multi-flux de reconnaissance robuste de la parole : incorporation des indices de voisement et de localisation", 2001 PDF (10Mo for acroread) PS.GZ (7Mo). sept 2003 - oct 2006, (+J. Le Maitre Pr. CNU 27) PhD codir of S. Tollari : 'Indexation et recherche d'images par fusion d'information textuelles et visuelles' (USTV grant) Now Assoc. Pr. LIP6 Paris 6.
fev 2006 - janv 2009 (+O. Papini Pr. CNU 27) PhD codir of N. Ben Aloui : 'Biometrie multimodale par parametrisation et fusion qualitatives' (CIFRE DCNS grant). Now ing. researcher @ DCNS. fev 2007 - mars 2010 PhD dir of S. Fraihat : 'Representation parcimonieuse temps-frequence de la parole' (LSIS grant). Now Asso. Pr. Fac. of Inf. Technol., AL-Ahliyya Amman Univ., Amman, Jordan. 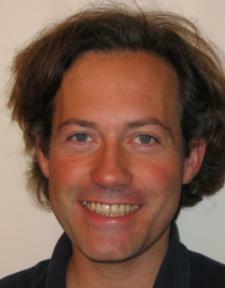 oct 2007 - 2011: PhD dir of F. Caudal-Benard : 'Trajectographie temps-reel par acoustique passive et analyse des emissions de mammiferes marins' (REGION + Chrisar Software grant). oct 2007 - dec 2010: PhD dir of A. Zidouni : 'Discriminant graphic model for sequence labeling : application to radiophonic named entity recognition' (Ministery grant).Now Ing. Reseacher @ ADSN Thales Services. * What is IUF ? (find details on IUF web site) : The mission of the Institut universitaire de France is to promote high quality research, and to strengthen interdisciplinary projects. The members are selected by 2 separated international juries, ... none of the laureates can be co-opted. The evaluations of the juries are based on the scientific work (innovation, interdisciplinary projects, international reputation, and the hability of the applicant in developing a project of quality). IUF member status represents 2% of the tenures of french universities.